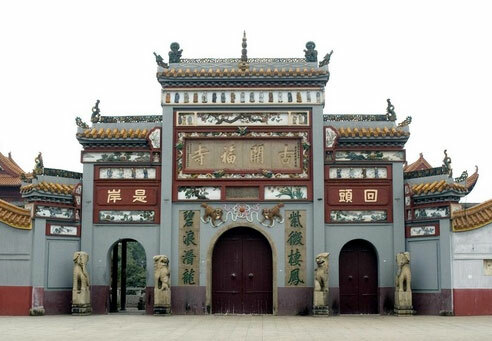 Hunan Kaifu Temple, situated in Kaifusi Road, Kaifu district,Changsha city, is a famous temple of the Chan sect. Buddhism Association of Hunan province and Changsha city are set up here for the high status of this temple. It is of magnificent scale covering an area of 16000 m2. Besides, its long history that it was originally built in the Five Dynasties period makes it mysterious and great. In Kai Fu Temple, the Great Buddha’s Hall is the main place for Buddhists’ cultivation and locates in the center of the temple. Preach Hall, Meditation House are built in the west side of the temple while Guest Reception Room, Abstinence Hall, Storeroom and Living Room of Buddhist Abbot are situated in the east side.